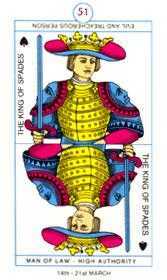 Employ patient listening and ask penetrating questions. 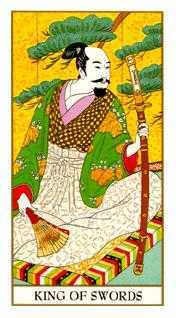 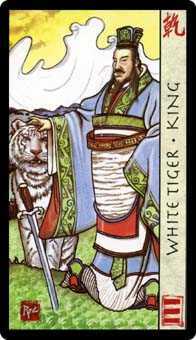 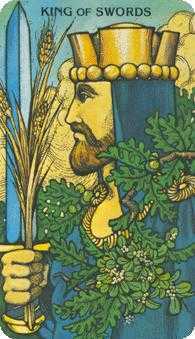 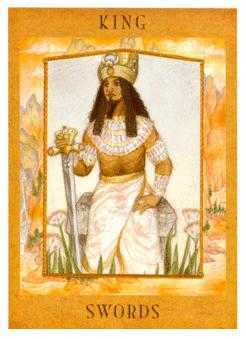 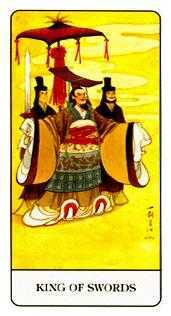 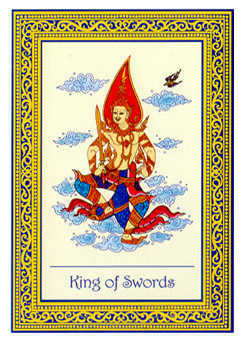 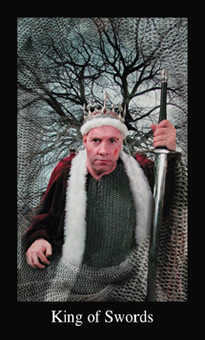 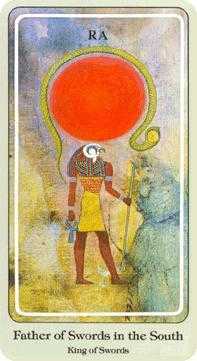 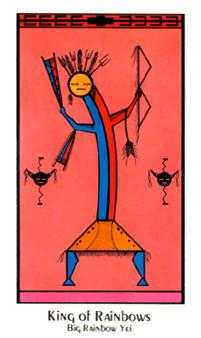 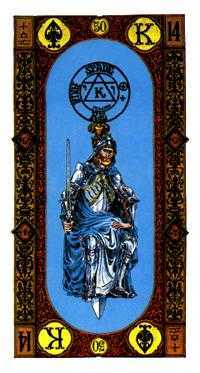 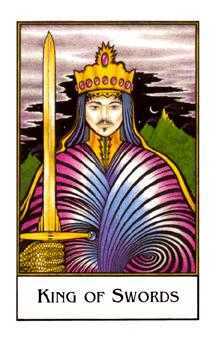 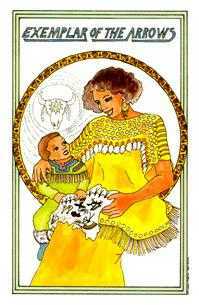 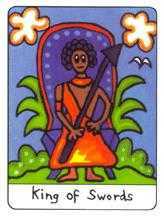 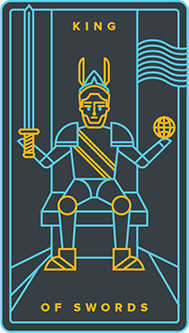 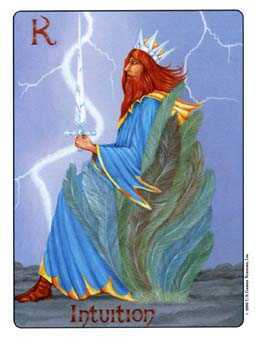 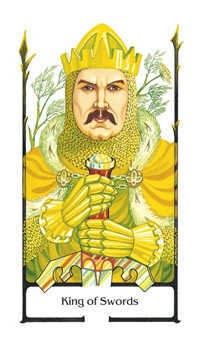 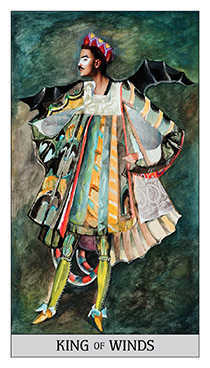 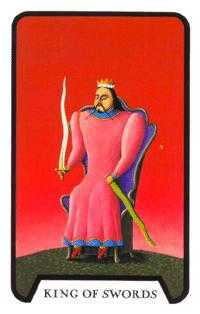 Traditionally, representing the energy of a King, this masculine energy form is The Adjudicator, the wise judge or mediator. 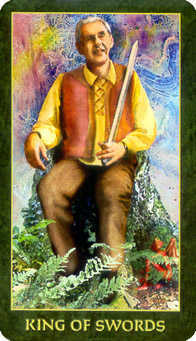 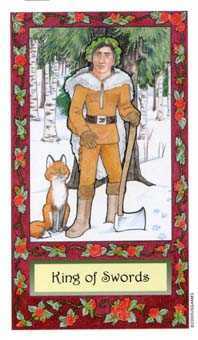 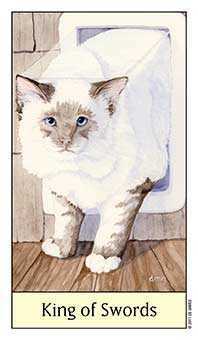 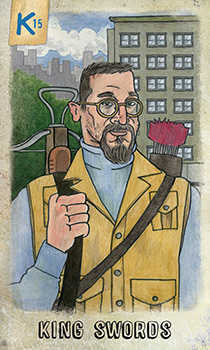 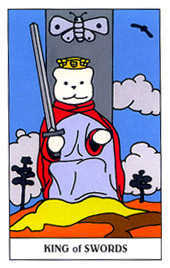 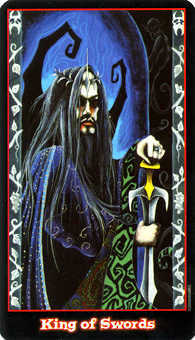 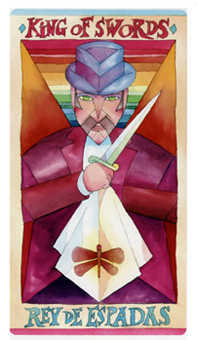 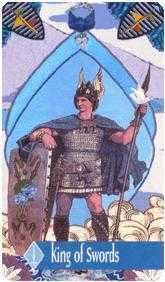 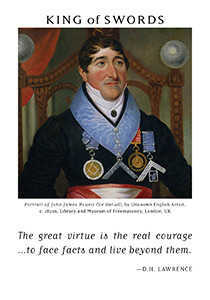 He helps parties in conflict discover common ground and build upon it, and guides societies to see their greater good. 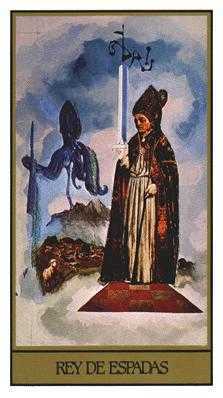 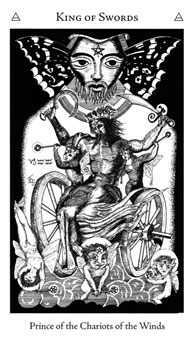 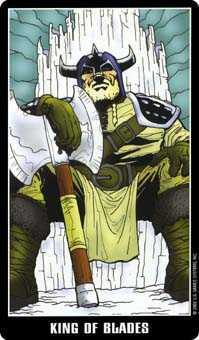 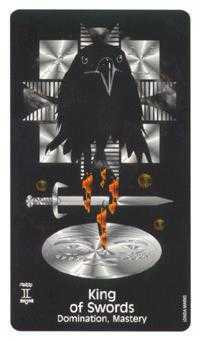 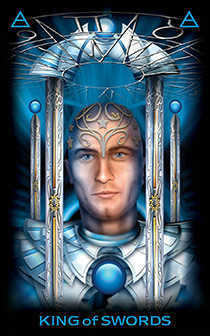 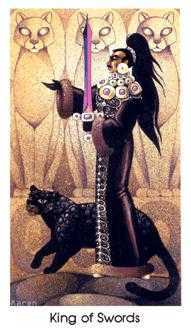 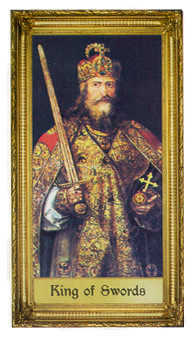 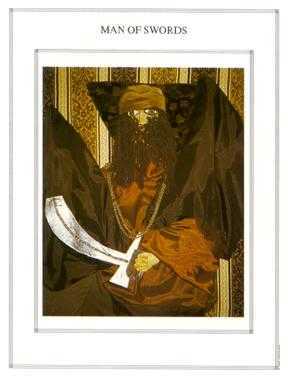 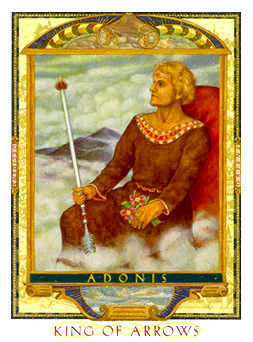 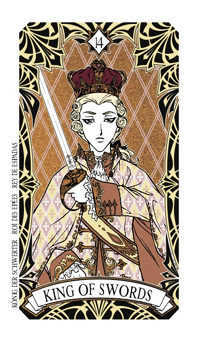 His archetype is Solomon, ancient lawgiver and philosopher of the Old Testament. 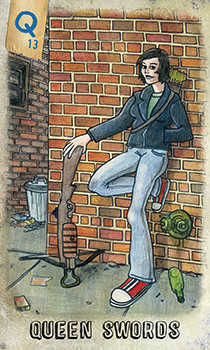 Sometimes appearing cool and detached, he can be misunderstood as not caring. 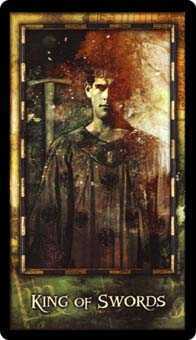 But emotional displays are just not his medium, nor is he moved by appeals to sympathy or pity. 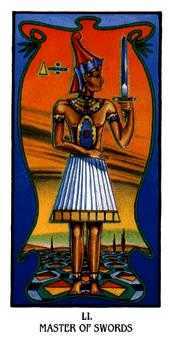 With the philosophical overview that comes from long experience, he listens deeply, watches closely and speaks last. 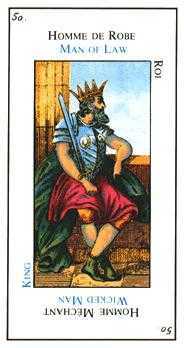 In the end, his even-handedness and objectivity earn him the respect he receives from his community, and those who cannot work out their problems come to him voluntarily for advice. 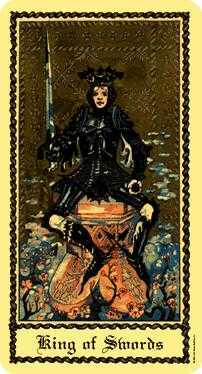 Occasionally this man is subtly detailed to imply that he is a woman in male armor. 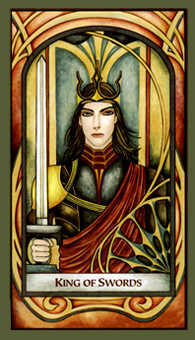 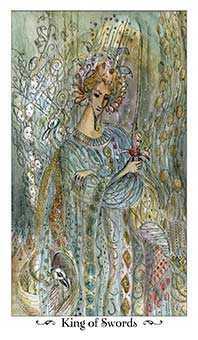 If you notice this theme in your deck, it is a reference to Joan of Arc, the Maid of Orleans, archetype of a devout and inspired woman warrior, who was mystically led to abandon her social role to defend what she saw as the greater good. 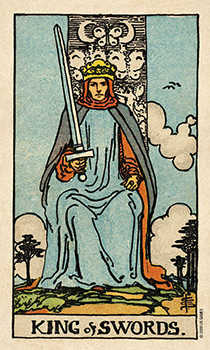 Although she was martyred young, her model crystallizes the message that sometimes the good of the whole is more important than the good of the individual, and in that case, even if you lose, you win just for being there. 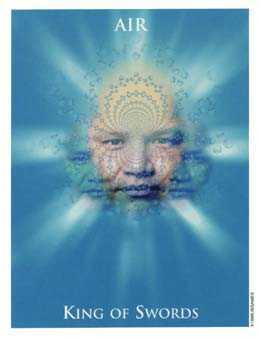 Listen to the inner wisdom offered by the wise elder that dwells inside of you. 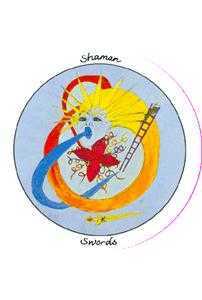 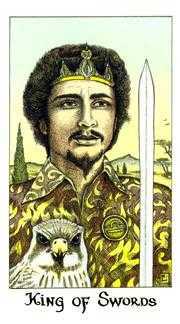 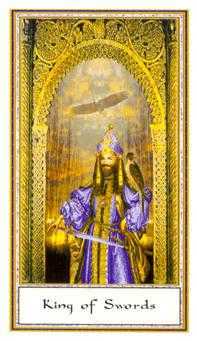 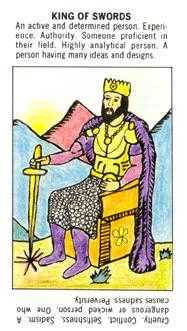 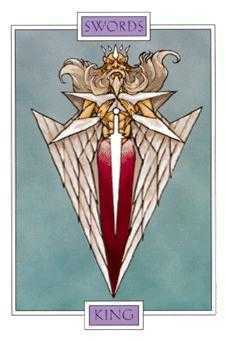 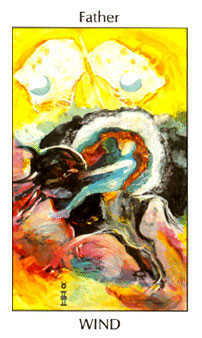 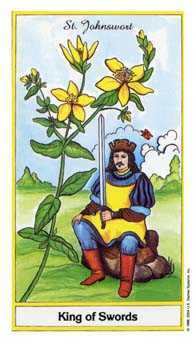 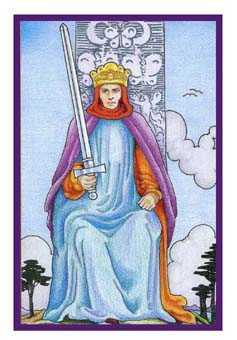 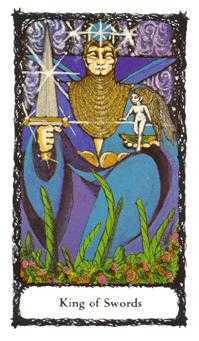 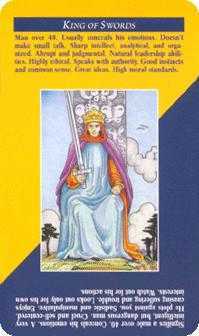 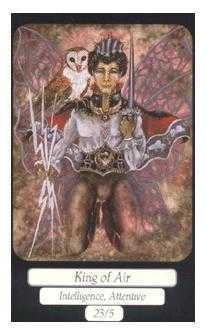 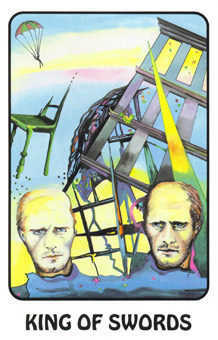 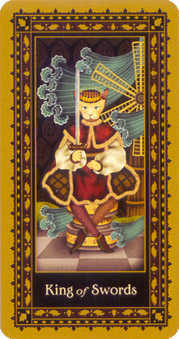 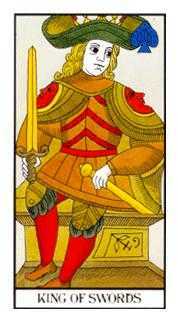 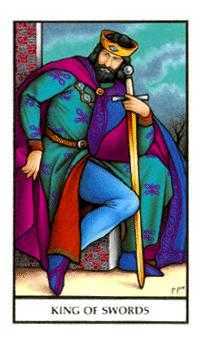 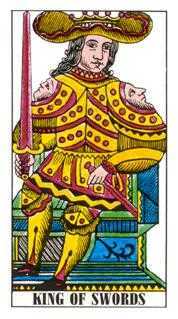 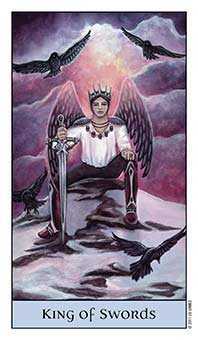 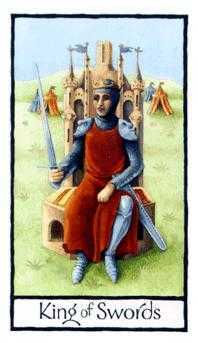 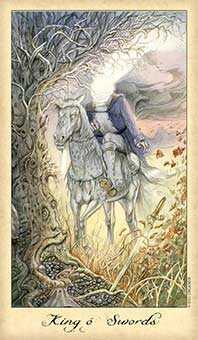 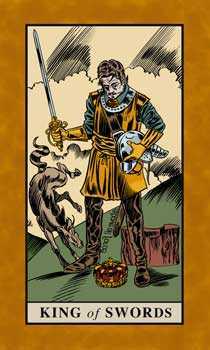 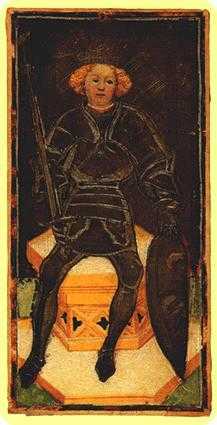 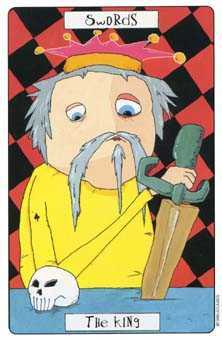 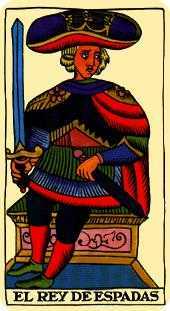 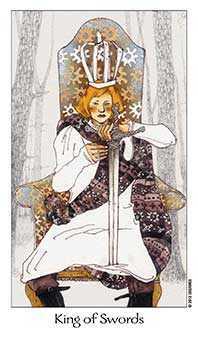 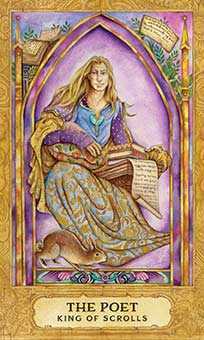 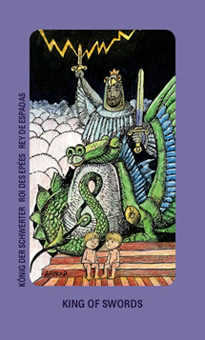 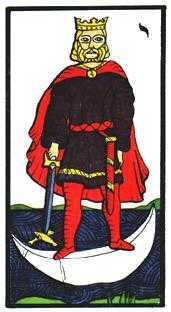 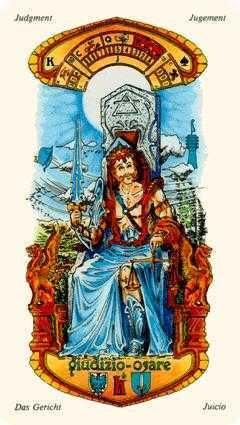 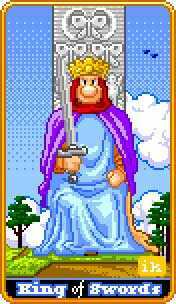 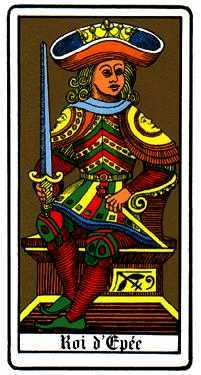 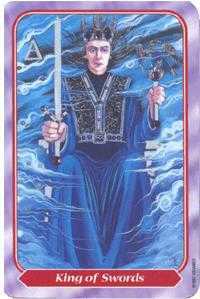 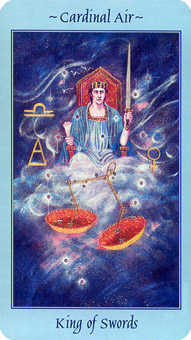 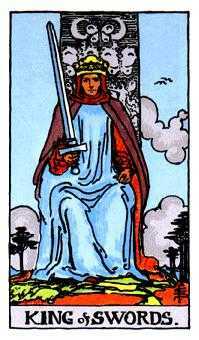 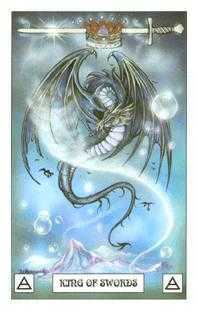 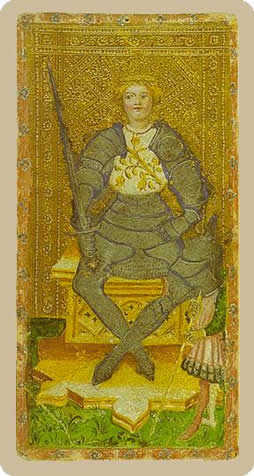 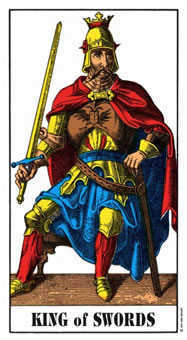 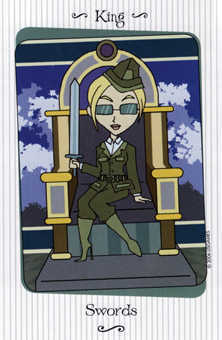 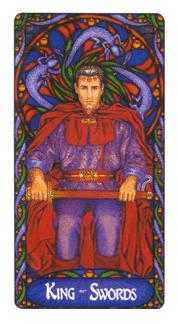 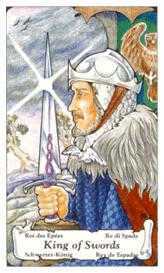 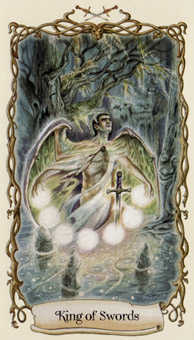 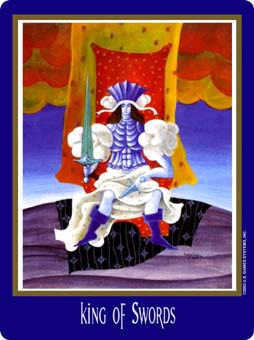 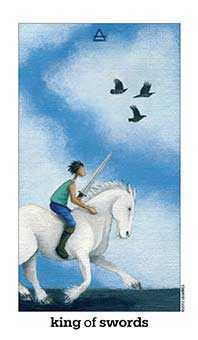 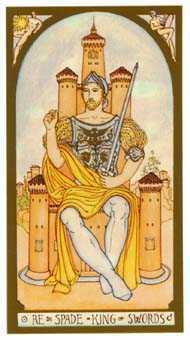 In this position, the King of Swords advises that you research your situation and in the process question existing authorities. 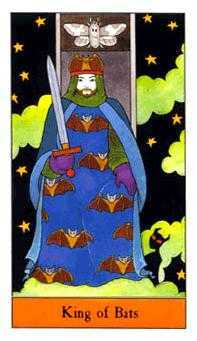 It may be time to examine underlying assumptions and bring greater clarity into areas that have been left in the dark. 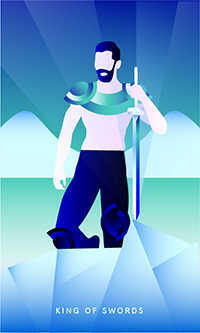 Don't wait for others to do it. 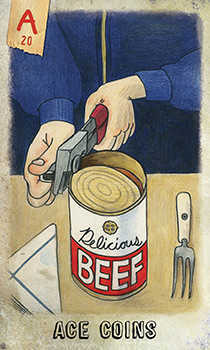 Instead, draw your own conclusions. 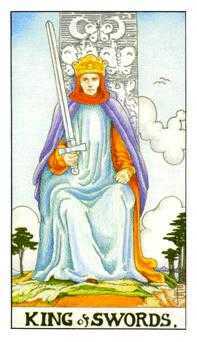 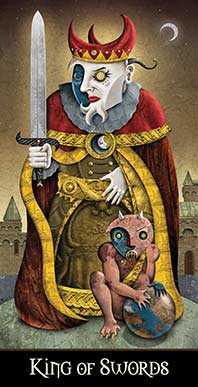 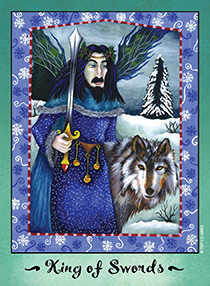 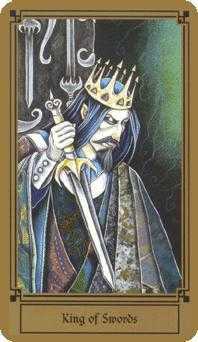 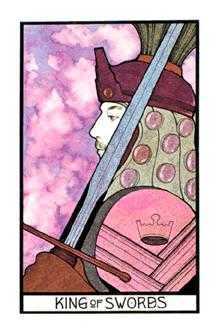 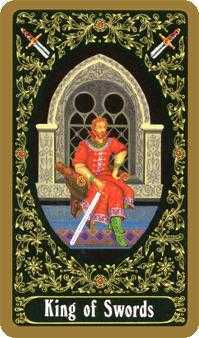 Spend time reviewing all the ramifications because this King of Swords requires a thorough, methodical examination of ideas and possibilities. 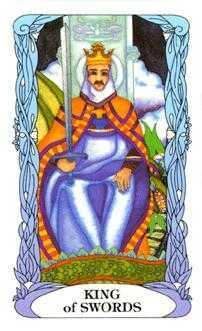 Call forth the sober and wise part of yourself -- the elder father figure. 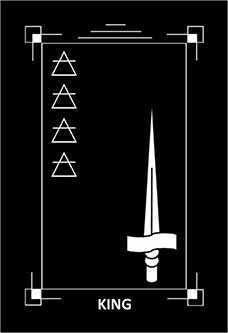 Then act on the instructions given you.